In which I talk a lot about a book I haven’t actually read. It’s right there in the title: I haven’t actually read this book. I mean, sure, I’ve read bits and pieces. I’ve perused. I’ve spent A LOT of time just looking at it. But if someone were to straight out ask me, I’d tell them what I just told you. Nope. You’re probably wondering what I’m doing recommending a book I haven’t read. 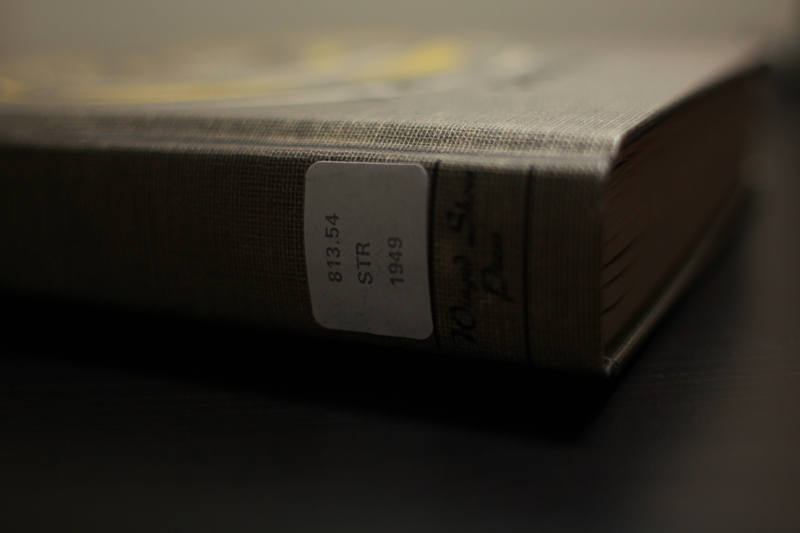 But that’s the beauty of this book, literally–you don’t have to have read it (or at least not all of it) to love it. It’s a collaboration between J.J. Abrams and Doug Dorst that takes the whole concept of “book within a book” to a whole new level. The project is called S, and it comes in a cardboard slipcase with author bios and publisher copy and all that on the back, but when you slide it out of the case, you discover that the book itself is called The Ship of Theseus, and it’s designed to look like an ancient, yellowing library book, complete with a Dewey Decimal sticker on the spine and date stamps in the back. That’s only the beginning. The design and manufacturing work that went into this thing blows my mind. 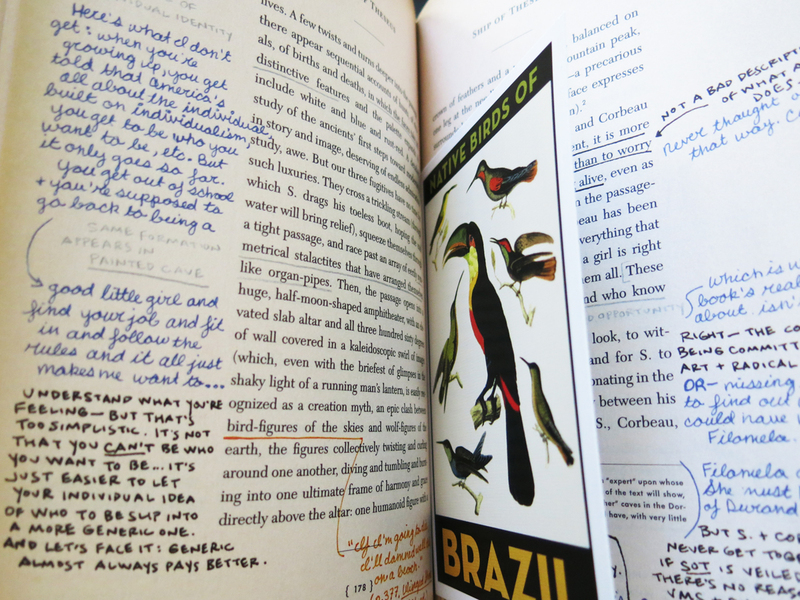 Open it up and you’ll find pages absolutely teeming with marginalia–two distinct hands underlining, circling, and conversing in the margins. These notes tell a story of their own, as do the many, many additional artifacts tucked away within the pages, from postcards and letters to newspaper clippings and maps sketched on napkins. Stories within stories within stories, and it’s up to us, the readers, to decide how we want to go about experiencing them. So, yes, I’m not in any way an S authority. But I’ve spent enough time with it to tell you that it’s worth having on your shelves even if you never get up the courage to actually read it from start to finish (if that’s even possible). It’s one of the most beautiful and impressive objects I own. 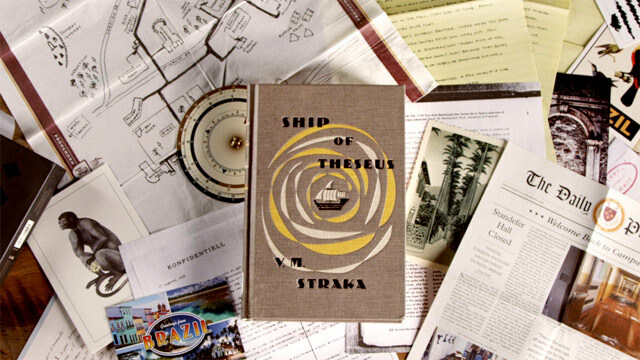 This entry was posted in February 2015 and tagged Books & Books, books within books, books you can do, design, doug dorst, february 2015, interactive books, jj abrams, s, the ship of theseus. Bookmark the permalink.